I think those outside the special needs community are fortunate enough to have a different, less jaded, view of the medical community than insiders do. 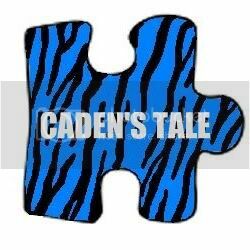 I was talking to a young lady the other day who simply couldn’t understand why we just didn’t get Caden more therapy if that’s what he needed. You know, pick up the phone, make an appointment, submit it to insurance, and be on our merry way. Are you on the floor yet? I almost fell off my chair in hysterical laughter over the absurdity of how simple and logical and full of common sense that all sounds until the sobering realization hit me that it really should be that simple. In reality, as many of you know, many research proven “common” therapies like speech, occupational therapy, and physical therapy among a host of others are either not covered by insurance or the number of visits is severely limited. Then there’s the reality that the number of service providers is disproportionate to those needing services and that even if you can find a service provider, without insurance coverage most of us simply can’t afford to pay the therapies out of pocket. So my astute conversational partner asked the next question: why don’t we get disability for Caden—surely that would take care of the financial aspects. Again I almost fell off my chair in hysterical laughter until I realized how simple and logical and full of common sense that does sound and sobering reality once again hit that it really should be that simple. In reality, Caden was determined by the state to be disabled, which means he qualifies for disability insurance. We applied and were accepted, but we both have a full time job, which means that we are required to pay a monthly premium for Caden’s disability insurance. That makes total and complete sense to me, and I wouldn’t expect anything less. Then we got our premium quote, which was nowhere near our financial means and all of a sudden that was not a realistic solution either. So where does this leave a special needs parent? Really you have 2 choices: you can give up on the services that you desperately know that your child needs in order to be successful in life or you can adopt a dumpster diving approach. According to Wikipedia, dumpster diving is “the practice of sifting through commercial or residential trash to find items that have been discarded by their owners, but that may be useful to the dumpster diver.” So essentially you go digging and digging and digging in hopes of finding something that you need. Granted there aren’t many services in the literal trash, but the concept still applies as I find myself sifting through a lot of garbage in the newspaper, on community bulletin boards, and internet searches to see if anyone is looking for “research participants” or “volunteers” to help somebody with some project with the byproduct being that my child gets a few hours of free and much needed therapy. Dumpster diving isn’t an exact art. Sometimes you find something that looks promising, maybe a Tiffany gift box, but when you open it you find out that it’s just an empty box. Often times “research participants” or “volunteers” are asked for money, or invasive/painful tests, or other requirements that simply don’t make the free therapy worth it to us or our situation. But other times that Tiffany gift box has the actual jewel inside and your day has been made. We’ve found a couple of jewels in the last month. First we found a university department that holds an occupational play therapy lab each spring as a practicum for their students under the strict guidance of licensed faculty/occupational therapists. Caden was accepted into the play lab and for 8 weeks he will receive an hour per week of free occupational therapy! Then we found a college student mentoring program that offers students who want to work with special needs individuals a chance to get experience by volunteering, again under the strict supervision of licensed faculty/staff to spend 2 hours per week for 8 weeks with a special needs child working on physical activities (physical therapy) and one-on-one relationships (social therapy). Yes it took hours and hours and hours of sifting through the trash to find these services but wow what a find—24 precious hours of free and appropriate therapy that Caden needs. Now I realize that at the end of these 8 weeks we are back to square one which is why I’m back in the trash again—dumpster diving isn’t probably going to yield any long term solutions but it’s the small victories that keep us going and keep us searching. Growing up I remember a lot of discussions about it not mattering what other people thought. But I also remember learning somewhere around junior high that much of your social happiness does depend upon what other people think. In-group or out-group may be a perception but it’s a perception that carries a tremendous amount of weight. Onto college you quickly learn that much of the academic process is about perspective; it’s the professor’s perspective that determines your final grade as well as what letters of reference you receive or what graduate school you are accepted into or what job offer you receive…or don’t. So on and so forth. As a parent you can pretend like other people’s opinions don’t matter, but the truth is that at least in my case I totally and completely enjoyed the compliments I received when Ryley was little—how pretty she was or how cute her outfit was. Same thing held true when we started taking Caden out in public—I loved hearing what an adorable blond haired blue eyed little boy he was. I also enjoyed when Ryley would be complimented on her manners or when people would just generally notice that I was really trying to be a good parent. Again so on and so forth. One of our most public displays of autism has been Caden’s pacifier. Honestly the pacifier isn’t that big of a deal to me per se because it has brought him a great deal of comfort as a transition and safety item. Caden’s pacifier and blankie have become almost trademark for him. But earlier this year a 5 year old pointed out to me that “Caden was too old” for a binky and I started to worry that his pacifier might be a source of bullying or teasing at school. I also noticed that we were frequently hearing comments or receiving unsolicited feedback about the pacifier in public. I started ordering different types of chewies for him to try. I wish I could say that this was entirely for Caden’s benefit, but it was selfish as well—I want people to just see how wonderful and cute and sweet Caden is. A few chewies were an epic FAIL, but we found one brand that he loves. It’s an adorable red train that comes on a break-away necklace that he can use as a fidget toy or as a chewy. He transitioned in public almost immediately. Don’t get me wrong we always have the pacifier on standby; he still uses it at night and any time we need to pull out the “big guns.” This was a huge step for Caden, though, and we were both amazed and proud of how easily he adapted to the chewy when we found the right one. And because I’ve already admitted to having some selfish motives to this move I honestly thought the chewy was somehow more socially acceptable. Then last week happened…. There was a guest in Caden’s classroom. Another student invited his coach to class for show-and-tell. By all accounts the coach was pretty remarkable with the kids—learned all of their names in a matter of minutes and was working his way around the room making sure everyone was sitting properly so that they could really listen to his message. When he got to Caden he kindly stated that he was sure that the necklace tasted yummy, but that it wasn’t appropriate to have things in our mouth or to chew on them. In terms of social acceptability I realized that once again we have an epic FAIL. I’d like to be angry and say that he should have known something was different by the mere fact that Caden had a large black service dog lying on his lap, but the fact is I have to face reality---the chewy isn’t any more socially known or acceptable than the pacifier was. Most of society has NO idea what a huge move this was for Caden or how amazing the chewy is for him—this was a developmental leap and is one of those “tools” that helps us avoid anxiety medications for the moment as well as allows Caden to function more “normally” in public. I’d like to argue that others’ perceptions don’t matter, but it’s others who I have to worry about making a decision to friend or bully my sweet son. I’d like to argue that I’ll just instill a deep sense of identity and confidence in my baby boy, but I don’t know how to explain the difference between happy and sad to him, let alone such deep and abstract emotions. I’d like to send out a notice that says starting tomorrow we simply aren’t leaving home, but that wouldn’t be realistic or helpful for any of us. What I am going to do instead is vow to continue working on others’ perceptions. A few of you are going to read this blog and a few more will share with others and maybe you’ll learn a thing or two that will make you look at things you see in public differently. Last week I talked about stims in my public speaking class and actually had a student on Friday say “wow, I never realized how much I do this—guess I can’t judge others when they are nervous.” Maybe she’ll tell her roommates when they start to make fun of someone else or tell a family member or another friend. I know Caden’s teacher has talked about chewies in his class—that’s 20-some kids who now know that chewies are okay sometimes and maybe they’ll share that info with their families. When it comes down to it perceptions do matter, but perceptions are learned and maybe that’s where I’m supposed to make a difference in life. I’m not sure that this is even about autism anymore; it’s about acceptance and while I don’t think I can change the world I’m not going to stop trying. I have to do this for my kids because one of these days they are going to realize that others’ perceptions do matter. Maybe in the end it’ll come down to the stories that we tell and the experiences that we share. At the moment my sweet child thinks that I can protect him from the world---and that’s a perception that is going to influence everything I do tomorrow, this week, next month and so on. The fact we would have another animal in the house but that this animal would be highly trained which would make it very different from the others in the house. The fact that we would have our very own search and rescue dog and gps system for Caden. The fact that we would have a 4 legged tether that Caden might like better than any of the leashes or harnesses that we had found online or in the stores. The fact that we would have a very public declaration of our son’s hidden disability. The fact that Caden would get the very best friend that he’s ever had. The fact that within 5 months of getting Elf he would be going to school full time with Caden. The fact that Elf would intuitively know when Caden isn’t feeling well or when he just needs a little extra attention. The fact that Elf would become the source of jealousy in our household. Let me explain this one a bit. I’m not talking your typical sibling jealousy. This isn’t the kind of jealousy that stems from one sibling having their own dog while the other shares family pets (even if there are a lot of pets to share). I’m not talking the kind of jealousy that stems from one sibling “getting away” with things because he doesn’t understand otherwise. I’m not even talking the general it’s not fair jealousy that my kids seem to specialize in. Nope I’m talking about the kind of jealousy that stems from one sibling’s service dog getting a bigger role in the school play that the other sibling who really wanted to be in the play. Yep you read that right. The kids’ school does a school wide play every other year and this year is one of those years. The oldest sibling really wanted one of three parts while the youngest sibling didn’t want to be in the play at all—in fact he proclaimed that he didn’t even know what a play was and that he didn’t like to sing. Try outs took place over a few days. Unfortunately the oldest sibling didn’t get any of the parts that she wanted. Unfortunately the youngest sibling has to be in the play even if it is just a walk on or across part with other little kids. So as you can imagine we have two unhappy siblings. Now let’s add insult to injury. In the musical there is a cow—the milkiest white cow that you will ever see. This cow shows up in just about every scene of the play. The cow is pretty darn instrumental to the whole play plot. And the role of the cow goes to……yep super service dog Elf. Now this isn’t a scenario that is covered anywhere in the parenting a special needs child with a service dog and his sibling handbook. I’m sure there is irony in this situation. I’m sure this is one of those situations that eventually we’ll laugh about. I’m sure this is one of those stories that we will retell in years to come before we head out to the theater for the day. I’m also sure that none of these scenarios are today. At the moment I have a heartbroken sibling, an anxious sibling, and a service dog that just knows play practice means extra treats. I really need a new copy of the handbook.